Gabriel Carver, the convict hangman of Sydney Prison, knows that none of his kind may depart Australia’s penal colony without the system’s leave. Then three people are murdered, seemingly to protect the “Rats’ Line,” an illicit path to freedom that exists only in the fevered imaginations of transported felons. But why kill to protect something that doesn’t exist? 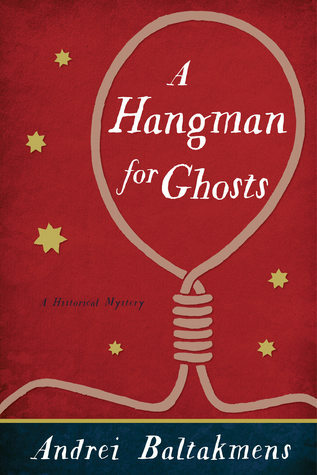 Gabriel Carver is assigned to the warder of the Sydney Gaol as the convict hangman. He takes pride in his work – never being drunk before a hanging and never letting the condemned suffer needlessly. It’s a lonely existence, for he is shunned by the officers and free settlers because he is a convict; shunned by the convicts because he is the hangman. Carver is an enigma. 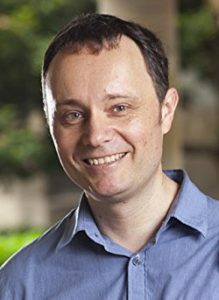 He appears to be an educated man who cannot sign his name. He is unafraid to speak his mind regardless of the consequences and has a talent for investigation. Definitely not the sort to be a hangman. So why did he volunteer for the role? When asked, he replies that he wished to escape hard labour. A credible answer, but is it the truth? When Ned Staines, a free convict who’d taken to farming and prospered, is found dead in his home, his assigned convict servant/housekeeper is arrested. She demands to see the hangman to whom she protests her innocence and asks his help in proving it or she will make known his secret. Carver agrees and persuades his superior to allow him to investigate the murder. More deaths occur and the leads he follows uncover the “Rats’ Lines”– an illegal system by which convicts return to England. To catch the culprit Carver must leave Australia. With a police constable in tow, he is given permission to return to England where he revisits his past and reveals his secret. In the course of his investigation, Carver meets Antonia Fitchett, the wife of the police magistrate. They form an instant rapport. She is as much a prisoner in the colony as the convicts due to the many rules and regulations of society that restrict her freedom and govern her marriage. Both hide behind their public personas, but recognise in each other a kindred spirit. I liked the character of Carver. In particular I enjoyed how he processed each piece of information he uncovered and also how his suspicions were not totally shared. This kept the identity of the man Carver pursued to England cleverly hidden until the end, so that when revealed it came as a complete surprise. 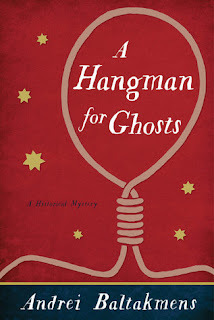 A Hangman for Ghosts is an excellent mystery which takes the reader from the murky streets of colonial Sydney to London. A tale of convicts and the Australian penal system made more interesting by an unusual main character. This is a very entertaining read that I'm sure fans of historical mysteries will enjoy, as well as those interested in Australia's colonial past. I received a free copy of this book to read and review.